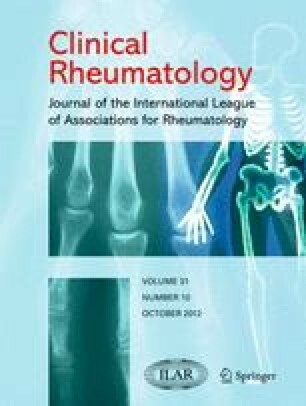 We aimed to assess the aspects of health-related quality of life (HRQoL) in Moroccan patients with rheumatoid arthritis (RA) and to evaluate the disease-related parameters influencing it. Two hundred fifty-five patients with RA were consecutively included. We assessed sociodemographic characteristics, cigarette smoking status, disease duration, diagnosis delay, joint pain intensity (on a 0–100-mm visual analogue scale), disease activity (by the disease activity score (DAS 28) and biological tests), structural damage (by radiographs scored using the Sharp’s method as modified by Van der Heijde), functional disability (by the Health Assessment Questionnaire), extra-articular manifestations, immunological status, and treatments. The Arabic version of the Medical Outcomes Study Short Form 36 Health Survey (SF-36) was applied to assess HRQoL. All domains of SF-36 were deteriorated in a significant way comparing to the general population. The most affected subgroups of SF-36 were role limitation, role emotional, vitality, and social functioning. Women had significantly lower scores of SF-36 compared to men. Patients with decreased levels of education and low socioeconomic status had significantly lower scores of SF-36 (for all p ≤ 0.01). Current and ex-smokers had lower scores in physical domains of quality of life. Patients treated with methotrexate had better scores of mental health. Furthermore, patients receiving biologic agents had better scores of physical and social domains. Decreased scores of SF-36 were significantly correlated with disease duration, joint pain intensity, clinical and biological disease activity, functional disability, and radiographic damage. The level of antibodies against citrullinated peptides had significant correlations with the impairment of physical domains of SF-36. Physical as well as mental aspects of HRQoL in our RA patients were significantly deteriorated. Recognizing complicated relationships between HRQoL and disease-related variables among our RA patients can help to develop further management strategies to improve patients’ daily living particularly with the advent of new treatments.